AU Club Captain of the Year! Last weekend (26/27 May), a group of EUCC white water paddlers took a trip up to North Wales for our annual Alps training weekend at the National White Water Centre on the Tryweryn River. After loading 2 minibuses and multiple cars with boats, kit and people, we eventually left Exeter. 5 hours and a trip to McDonalds later, we arrived at our campsite just outside Bala. 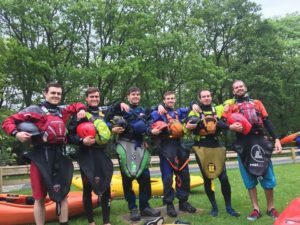 The main aim of the weekend was to improve river confidence and skills for everyone going to the Alps next week. 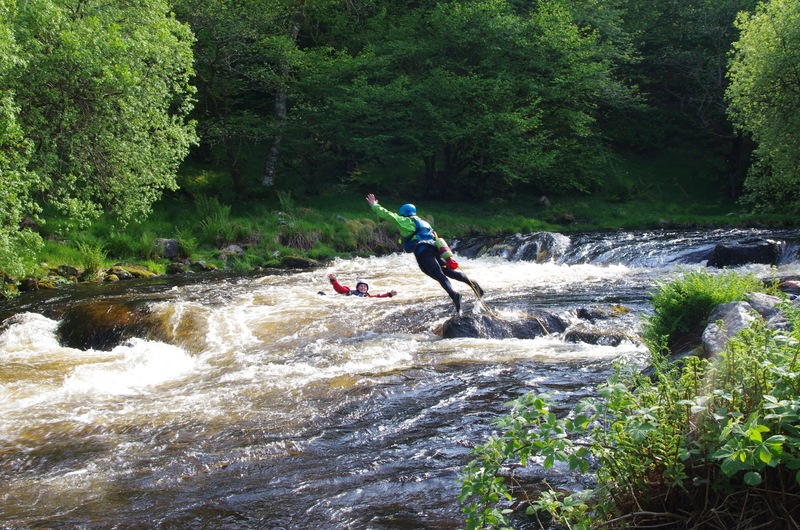 Saturday started with us sessioning one section of the Upper Tryweryn to practise getting in and out of eddies. We had a couple of runs down the river before lunch. 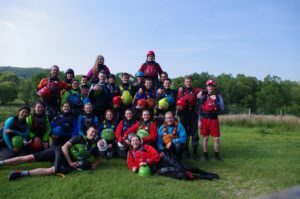 People rolled, people swam, we tried to avoid the massive rafts and a few people managed to stay upright the whole way down. Saturday afternoon involved a couple more runs down the river and then we did some swimming practise. 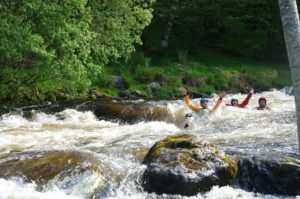 Defensive swimming, live baiting, throw-lining, how to swim into a hole and how to successfully climb out of a river were all practised. We stopped off for fish and chips in Bala on the way back to the campsite, and then had an evening campfire. 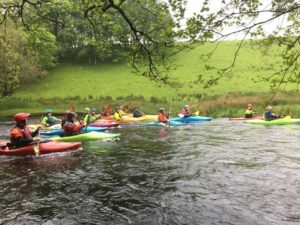 The thunderstorms and rain woke most people up in the middle of the night, but even thunder and lightning didn’t deter us from returning to the river on Sunday morning. 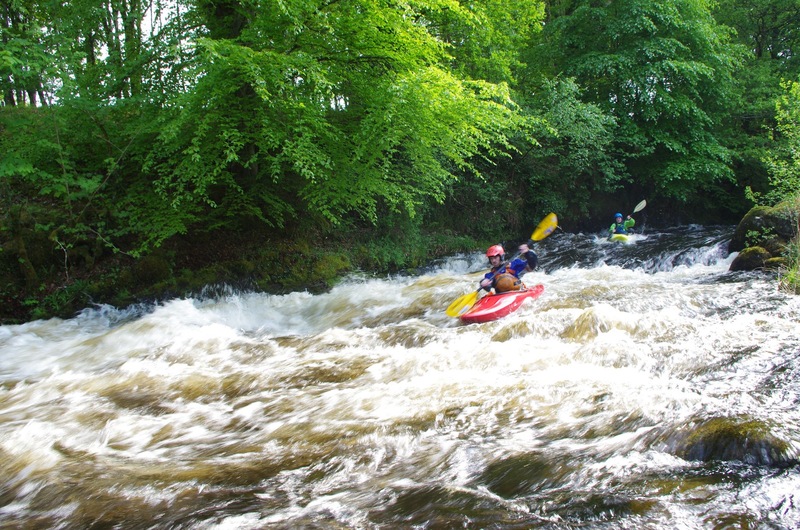 It eventually brightened up again and we did some more runs of the river. 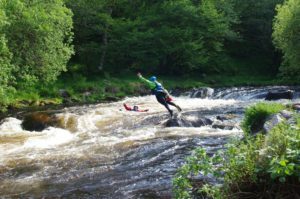 We had lunch and then finished off the trip with a BoaterX race down the Tryweryn. Thanks to Jess for organising the whole weekend as Trip Sec, Nic for planning the river groups and training and to all our river leaders and safety (including our Ex-Members) for helping to reduce all the carnage on the river and for chasing after our boats when people swam!